Guess what guys? 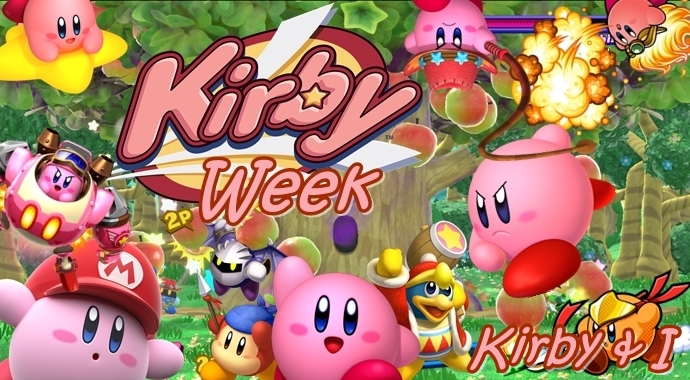 All this week its #KirbyWeek and it is time for yet another instalment of Kirby & I! A mini-series of interviews where we ask video game developers and publishers, what they think of Kirby. Occupying the hot seat for today’s instalment, is none other than Midnight Status’ Jeremy Alessi. Take it away Jeremy! Q1. What is the First Kirby game you played?Does Super Smash Bros. count? If not Kirby Super Star on SNES Classic! Q2. What is the Last Kirby game you played?Kirby’s Dream Course. Q3. Do you have a favourite Kirby game?Probably Kirby’s Dream Course although the series as a whole is much better than I’d anticipated. I ignored it as a kid. Q4. Do you have a favourite Kirby ability?Just his overall ability to absorb others’ traits, I find brilliant. If I had to get specific, I very much appreciated the ability for Kirby to spit out a second controllable player in Kirby Super Star. Q5. Do you have a favourite Kirby character?Kirby and Meta Knight are both pretty cool. Q6) Have you tried the Kirby Star Allies demo for Nintendo Switch?Not yet. Q7.Will you be buying Kirby Star Allies for your Nintendo Switch?Possibly! Q8. Do you own a Kirby amiibo? Maybe? Either that or my wife made me put it back and my possession of one is mere wishful thinking. Q9. Do you have a favourite Kirby moment?They all involve Kirby flying off a floating stage, whether in SSB or KDC. Q10. If you could have a Kirby cameo in one of the game’s you’re working on, how would you handle it?Kirby could jump/fly up high and then turn into a Swap Buddy that falls, lands with a shockwave, and smashes other players off Drop Zone. Sadly, Jeremy is the last developer/publisher we will be hearing from this week, but we do have one more instalment planned, only this time, it’s with the very awesome Toby Saunders. Sure, he write reviews for us, but Toby is a big Kirby fan and it wouldn’t have been right if we didn’t include him. So, we hope you join us when we post our final instalment on Saturday. Thank you.